This article originally appeared in The Huffington Post on December 29, 2015. 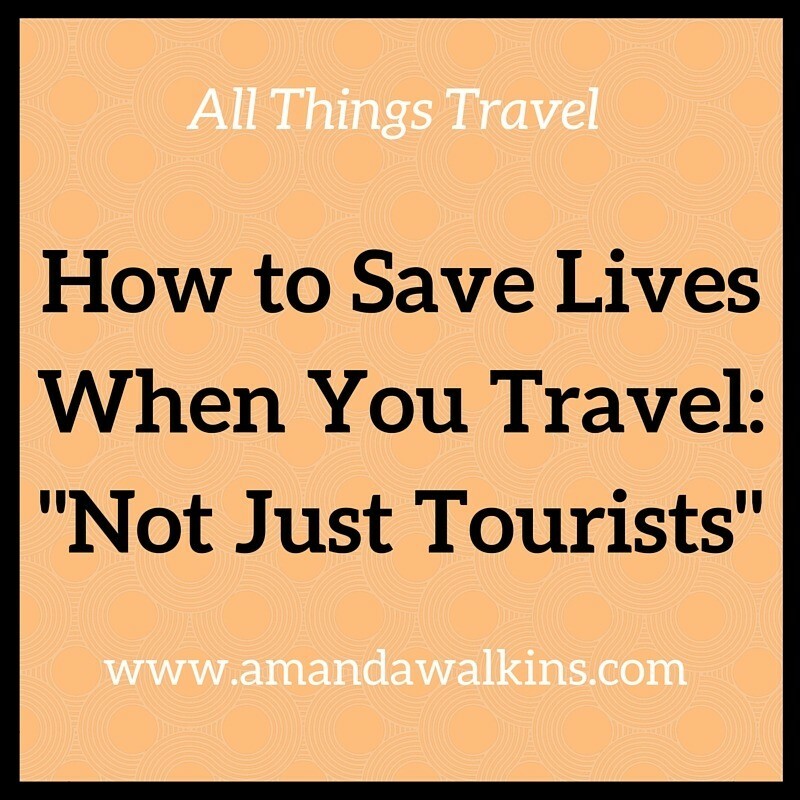 See the original, How to Save Lives When You Travel, here. Traveling ignites something in the soul – there’s no denying that. Every new experience, every new place explored, and every cultural barrier knocked down brings about a change in our perspectives and in the very way we live our lives. Travel inspires us to do more and to be more. Travel unites us. It’s Sunday. We just sat in a car for nine hours. We’ve been in four countries in the last three days. And it has been AWESOME. I can’t possibly ever put into words exactly how amazing it feels to see friends and family after being away for a while. In fact, it could just be a few weeks – hell even a few days – and I’m ecstatic. Especially my family. If you don’t know them, you’re missing out. I have some of the most incredible individuals to claim as my own and I appreciate them more and more each time I see them. I am unbelievably lucky! Countdown to vacation: one week! We leave our island paradise one week from today! Six weeks of family, friends, good food, new places, and no work. No work! I know that sounds silly since our “jobs” offer more flexibility and freedom than the office jobs most of humanity suffers through until retirement. And yet, the thought of not having to set an alarm clock is pretty amazing in and of itself.